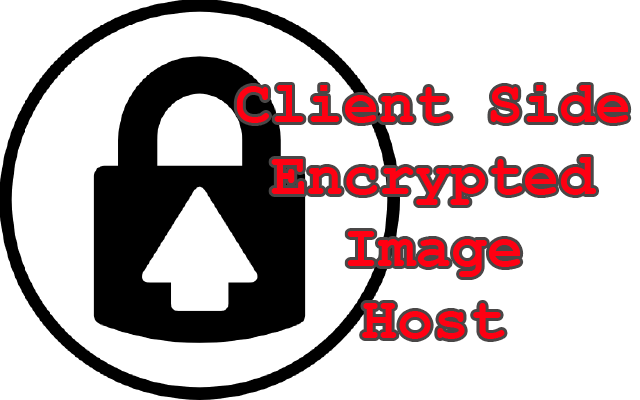 Up1 is a client side encrypted image host that that can also encrypt text, and other data, and then store them, with the server knowing nothing about the contents. It has the ability to view images, text with syntax highlighting, short videos, and arbitrary binaries as downloadables. Before an image is uploaded, a “seed” is generated. This seed can be of any length (because really, the server will never be able to tell), but has a length of 25 characters by default. The seed is then run through SHA512, giving the AES key in bytes 0-256, the CCM IV in bytes 256-384, and the server’s file identifier in bytes 384-512. Using this output, the image data is then encrypted using said AES key and IV using SJCL’s AES-CCM methods, and sent to the server with an identifier. Within the encryption, there is also a prepended JSON object that contains metadata (currently just the filename and mime-type). The (decrypted) blob format starts with 2 bytes denoting the JSON character length, the JSON data itself, and then the file data at the end. Image deletion functionality is also available. When an image is uploaded, a delete token is returned. Sending this delete token back to the server will delete the image. On the server side, HMAC-SHA256(static_delete_key, identifier) is used, where the key is a secret on the server. The server-side is written in Node, although we also have a Go server which uses no dependencies outside of the standard library. The only cryptography it uses is for generating deletion keys, using HMAC and SHA256 in the built-in crypto/hmac and crypto/sha256 packages, respectively.